We are obsessing over all things satin right now and this jumpsuit is a serious wardrobe staple. 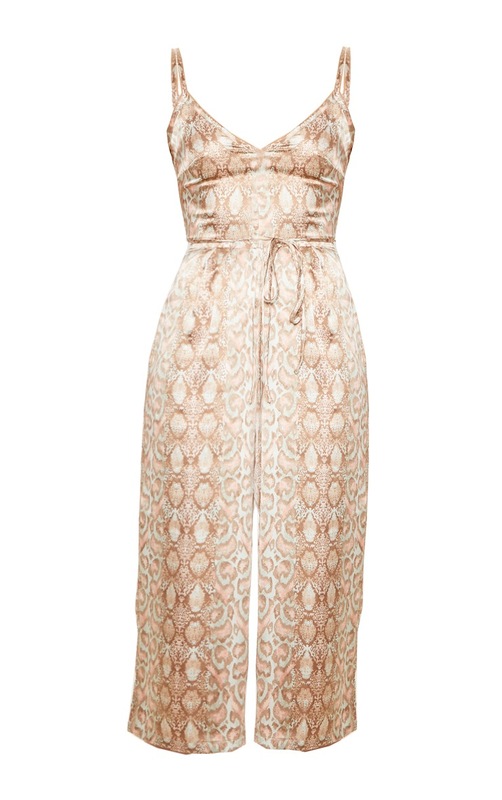 Featuring a multi snake print satin fabric with thin straps, a tie waist detail and culotte bottoms, we are obsessed. Team with barely there heels and statement accessories for the perfect going 'out' out look.